Special Piping Materials, the leading stockholder and supplier of pipes, fittings and flanges has appointed Alex Forth as the new Managing Director in the UK as well as Regional Director across Australia, Southeast Asia and the Middle East. Alex is an industry expert, having been with the group for 11 years, previously heading up the Singaporean and Australian divisions and being fundamental in establishing the office in Dubai. He will be based in Dukinfield, Cheshire which is also the global headquarters for the company. Founded in 1989, Special Piping Materials is an established market leader in the exotic piping industry. It has grown from a single office in Manchester to a global network of seven sales offices and warehouses across five continents. With Alex steering the course, the company plans to continue on its growth trajectory by diversifying into different markets and leveraging its global network. 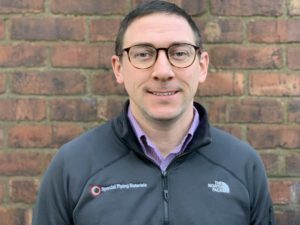 Alex will work to coordinate project work across the UK, Middle East, Southeast Asia and Australia while reinforcing Special Piping Materials’ commitment to its clients and stakeholders. He joins the company’s senior management team which is led by Founder Les Buckley and Group Director Paul Buckley. In Singapore, Steve Chee has taken over as General Manager, while Mark Davey continues to operate as Sales Director in the company’s Perth office. Founder Les Buckley said: “This is a very exciting time for the business as we look to new markets to drive our expansion plans and further strengthen our reputation.